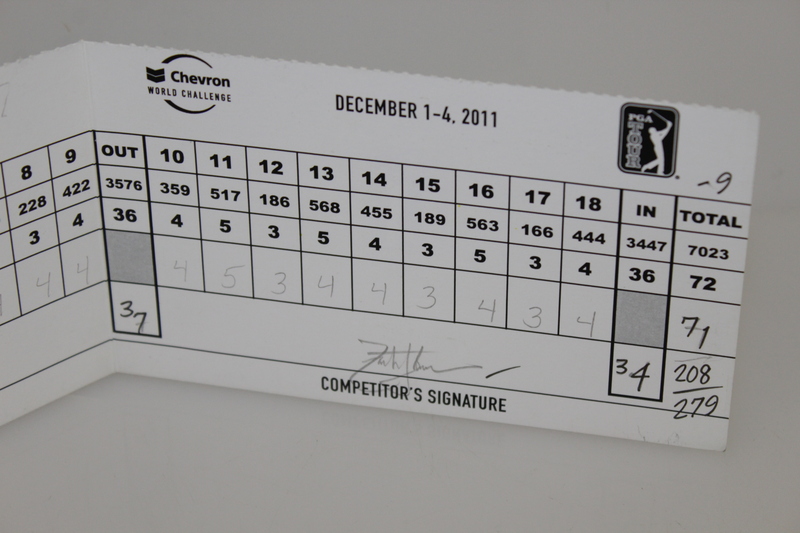 Tiger Woods Signed Sunday Scorecard from 2011 Chevron World Challenge Win! This was Tiger's first win in over two years. This final round Sunday scorecard is opponent Zach Johnson's who he beat by a single stroke after a birdie birdie to close to the last round. Tiger's marker signature is located on the left side of the scorecard. Tiger shot a 10 under score that weekend and more importantly got his swagger back, showing the spectators the first pumps from the man in red that they had hoped would show up. 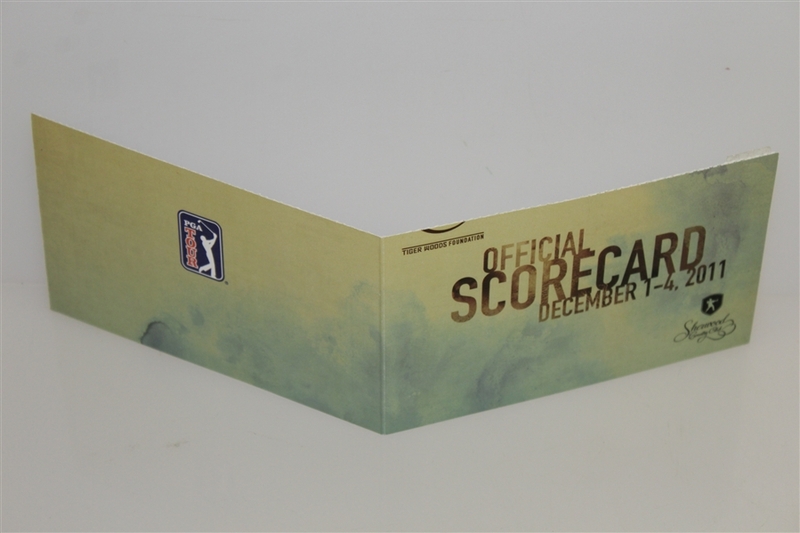 The Chevron World Challenge tournament was the invitational that benefited his Tiger Woods Foundation annually back in 2011. 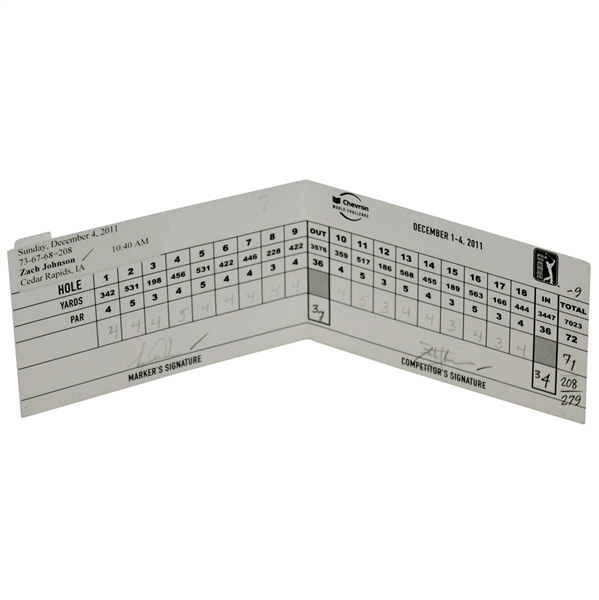 The thoughts running through Tiger's head while he signed this exact scorecard post-victory on that Sunday were positive, and that of redemption. James Spence Authentication (JSA) has reviewed this signature, and their auction letter of authenticity comes with this lot.